After studying English at university Kate’s first job was as an assistant to a London antiques dealer. 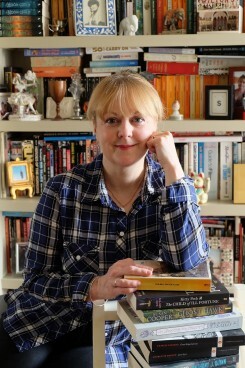 She then trained to be a journalist and worked in local newspapers and magazines before moving into PR where she worked for a range of charities and not for profit organisations including The National Autistic Society and British Waterways. Today (when not writing) she works as communications manager for Britain’s most venerable heritage body, The Society for the Protection of Ancient Buildings, fondly known as SPAB. 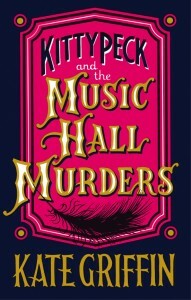 Her first book, Kitty Peck and the Music Hall Murders (winner of the 2012 Faber and Faber / Stylist Magazine crime fiction writing competition) was published in July 2013. 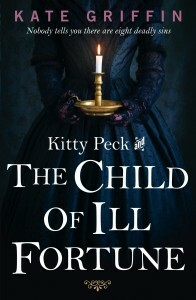 The sequel, Kitty Peck and the Child of Ill Fortune, was published in July 2015 and book three in the series, Kitty Peck and the Daughter of Sorrow, published July 2017. 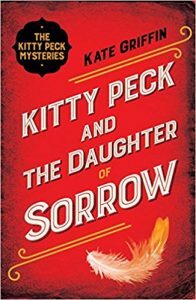 Under the name Cate Cain, she has also published two historical mystery books for children, The Jade Boy and The Moon Child (both published by Templar). Kate lives in St Albans.